Does Lewis participate in the Illinois Veterans Grant (IVG) program? What changes should I report to the VA Certifying Official at Lewis University? No, Lewis University does not participate in the IVG program. This program can only be utilized at Illinois public institutions or community colleges. Only the VA can determine your eligibility for benefits. Review the program details at www.gibill.va.gov and apply for aid, or call a VA counselor at 1-888-GI-BILL-1 (1-888-442-4551). U.S. military veterans and some service members within six months of separation or retirement can apply for compensation benefits and/or pension benefits using VA Form 21-526, and Vocational Rehabilitation and Employment benefits can be applied for using VA Form 28-1900. U.S. military veterans, service members, members of the Selected Reserve, and dependents can apply for education benefits. No. The VA will pay you a compensatory benefit to help you offset the cost of school. You are responsible for paying your tuition and fees in order to maintain continuous enrollment according to the policies as stated in our student handbook. Yes. You may apply for additional financial aid without it affecting your VA education benefits. New claims typically take from 8-10 weeks for the VA to process - sometimes longer depending on current processing volume. Note: The VA is generally overwhelmed with claims at the beginning of each semester. Always allow the VA six to eight weeks to process any change in your claim as well, and an additional four to six weeks if your main claim folder must be transferred from one VA regional office to another. Once your initial claim is processed, you will receive your payments monthly. A beneficiary is entitled to payment at the conclusion of the month in which he or she trained. You may contact the Lewis University VA Certifying Official at 815-836-5263. No. You must submit a Lewis University VA Education Benefit Enrollment Form prior to the start of each semester. The VA Certifying Official will review the student's program of study and certify that the courses are required to complete the degree program. This certification is then sent to the St. Louis Regional Processing Office. If you have additional questions, many can be answered at the Federal VA Frequently Asked Questions site. 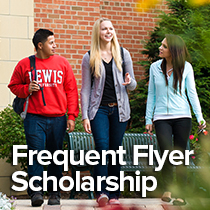 Or feel free to contact the Lewis University VA Certifying Official at 815-836-5263.